and directions to help guide you with the German language that you will encounter in your travels. of the language can be very helpful. Our Guide Book : ‘An Introduction to Austria’ has more German word translations and language phrase translation that will be practical for you to know. They are categorized into German language topics such as traveling, German food, German drink, ordering in German, shopping in German, German place names, etc,as well as helpful German language word translations per subject and helpful Austrian phrases in German with translations. 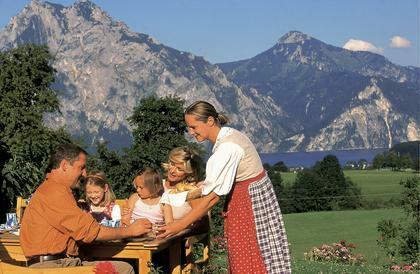 The guide be very helpful for your Austria travel planning it covers Austrian history, geography, culture, economics, as well as the nine Austrian provinces. This informative background of Austria will provide you with solid understanding and knowledge of the country. Here are a few helpful word translations.